Whether you're diving in or climbing out, we've designed our swim shorts to be comfortable and stylish both in and out of the water. 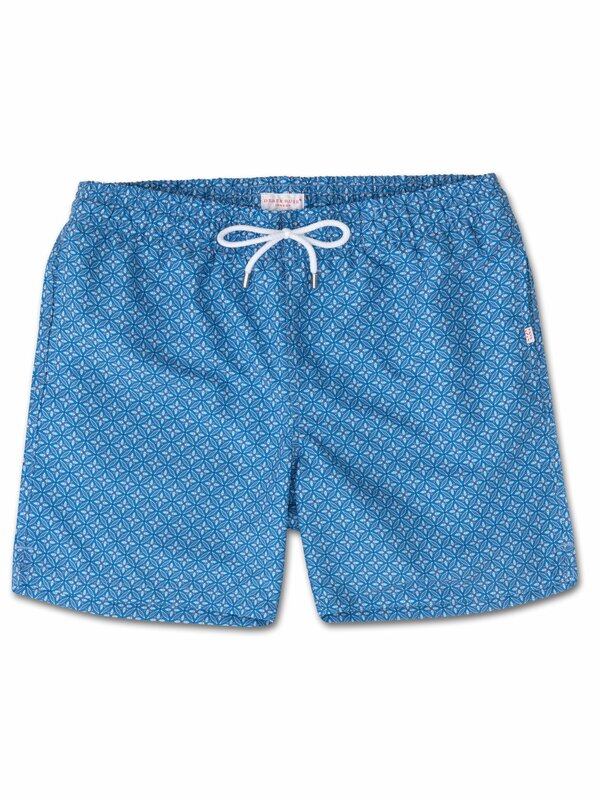 Our Tropez 4 classic fit swim shorts in blue are crafted from a quick-drying polyester fabric which has been pre-washed for a supersoft finish. Come with us on a trip along the west coast of USA as this season we travel down through the California state. Inspired by the Santa Barbara Botanic Garden, this geometric print utilises layered up elements of our DR logo to create a floral repeat pattern.